Any athlete must undergo medical tests that rule out risks to their health. A general medical examination is not something exclusive to football. It is advisable to perform an annual medical examination, for the simple fact of keeping track of our state of health; Likewise, it is useful to comply every time a new sport activity is undertaken, in this way you can know if you are physically prepared for it or not. The medical examination is the set of tests focused on the investigation of possible injuries, alterations or organic anomalies. Depending on the purpose of the consultation, be it professional, sports or merely informative, the tests must be oriented in one direction or another. Normally a cardiorespiratory medical examination, muscle mass, body mass, etc. are first done. Once the general nature has been carried out, more concrete and specific tests are carried out for organs and devices: hearing, vision, balance, and the locomotor. A general exploration is carried out. After the start of training at this time, players are already completing chips and joining their teams. As every season, the pertinent medical examination must be carried out and for this, the best and closest center must be located. 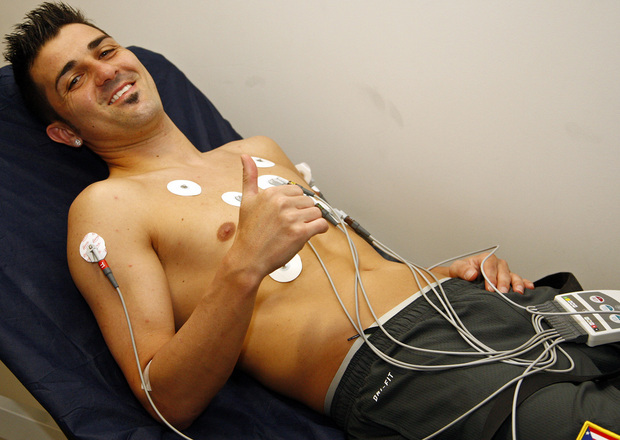 Clinica la Siesta is already performing medical exams for footballers, coaches and referees of the Valencian Community. So far, the Vega Baja and Torrevieja, more specifically, was orphaned by this service and those interested had to travel many kilometers to find a medical center where to go. After this agreement with the Football Federation of the Valencian Community and the Social Security Mutuality of Spanish soccer players at a fixed premium, hundreds of federated will be able to benefit from it and visit us in the La Siesta urbanization in Torrevieja. Soon the kids of the lower categories of CB Torrevieja will pass their awards at the facilities of Clínica la Siesta. Anamnesis: previous interview in which personal data of the patient are collected, as well as their clinical history (possible ailments, diseases, old operations …). Anthropometric measures: weight, height, I.M.C. (body mass index), etcetera. Taking vital signs (blood pressure, heart rate …). General strength and flexibility tests. § Stress test: the most used are the treadmill and the stationary bike, in which progressive increases in workload are carried out, with a maximum duration of between ten and fifteen minutes. It is essential to perform an electrocardiogram before the test, and continuously monitor (visualize) the entire test, and at least for three-five minutes in recovery. In this way, direct gas analysis is carried out (the measurement of oxygen consumed and carbon dioxide eliminated), allowing an accurate determination of the maximum oxygen consumption, and the precise detection of the aerobic and anaerobic thresholds.